The event also honored 17 past presidents that were present, with the exception of Bill Cilker who was not able to attend. John Pencer (1979-80) to Tony James (2017-18). Tom Boyce, chairman of this event organized an elegant affair with a live performance from Abraham Lincoln High School. Tom is an alumni of this high school. 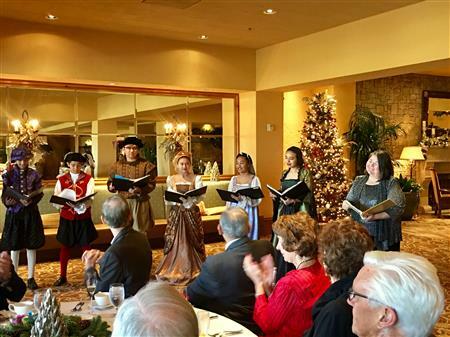 Abraham Lincoln High School Choir in their Renaissance outfit sang traditional holiday songs in German, Spanish and English. Members are from freshman to senior high school students. Thank you to all the past, current, and future Presidents of Rotary Club of Los Gatos and a very Merry Christmas to all.